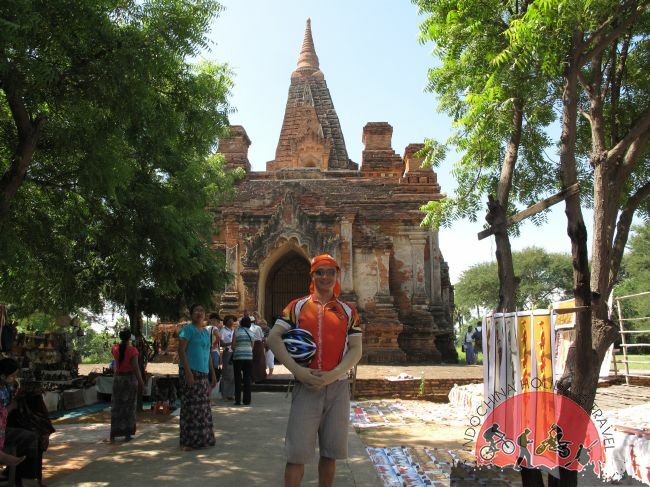 Bagan Cycling To Kalaw .Does the prospect of cycling your way around Myanmar appeal to you? Burma by bicycle, now that’s a holiday. Burma, which now officially goes by the name of Myanmar, is fast-becoming the go-to holiday destination. From visiting the many magical temples to discovering the coastline and varied terrain, if you want to take yourself off to somewhere slightly different this year then Myanmar might just be the destination for you. 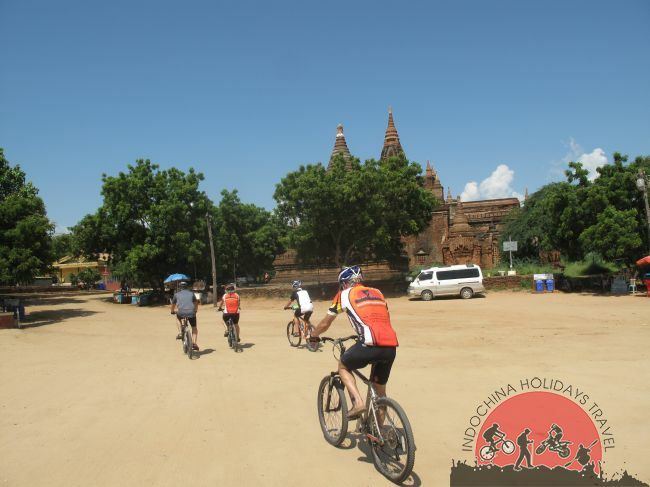 Today, pick up at your hotel at 8 :00 Am and we bicycle to an extinct volcano, Mt.Popa, which dominates the area. Mount Popa was for centuries where kings of central Burma made pilgrimages to confer with the sacred statues about the future of their reigns. On the way, make a stop at the local palm wine to enjoy the ways of life and how Myanmar people from upper Myanmar make good use of the Toddy Palm trees that are grown along the fence of their farms. You can also taste the spirit distilled from the palm sugar that is made out of the toddy palm sap. Then, continue to the abode of Nats passing by many villages on the way who live mainly from farming. Today biking is along the paved road, however, there can be some ascending parts as you approach the volcano of Mt. Popa. After the last climb, you will arrive at the town of Popa. Then, head to the local restaurant and your biking of today ends there. 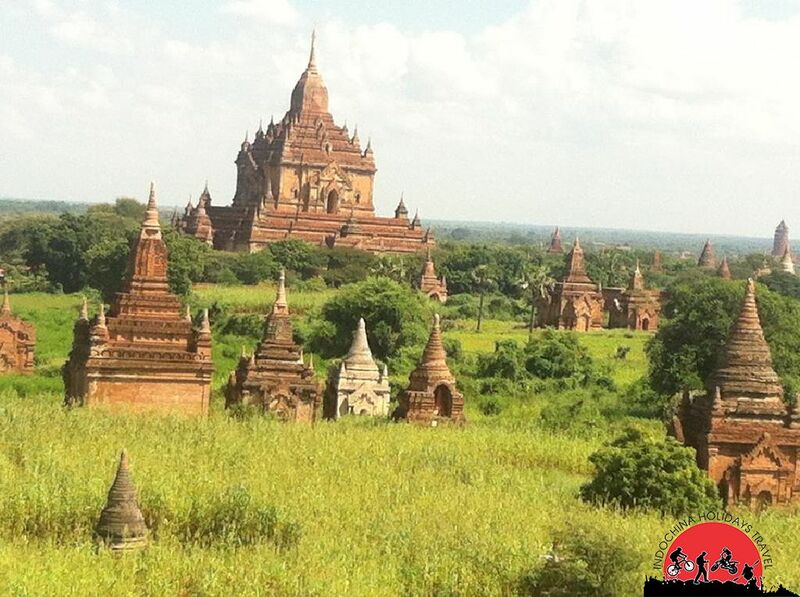 Heading out into the flat land, we will transfer you to Kyaukpadaung, the typical town of upper Myanmar. The road will go up and down along up to the Juggery Sugar city of Kyaukpadaung. Upon arrival at Kyaukpadaung, we will driver out of town and stop at the entrance to the town at the Gas Station (Linn Shwe Ni) where we will start our bike trip to Meikhtila, the largest city in upper Myanmar after Mandalay. We will ride the bike as far as our energy can resist. Lunch is after you have covered about 30 kilometers of distance at Let Pan Phyar village. After lunch, we will continue riding towards Meikhtila as much as 40 kilometers or so. Then, we will load our bikes on our accompanying SAG wagon and continue to Meikhtila. Today, we will bike from the hotel up to Yin Mar Bin junction where the countryside landscapes ends and it joins the highland of Shan Plateau. After breakfast, we will head towards the highland along the old road to the first junction of Tha Pyay Wa (11Km from Meikhtila) where the road forks to Shan Mountains and to lower Myanmar. We will turn right and ride for about 15 kilometers of distance along the country side up to the town of Tharsi, one of the biggest towns. You will have your lunch at the town in a local restaurant. From Tharsi to Yin Mar Bin is another 35 kilometers of distance and it is optional whether you take the ride on the bike or can be on the van.